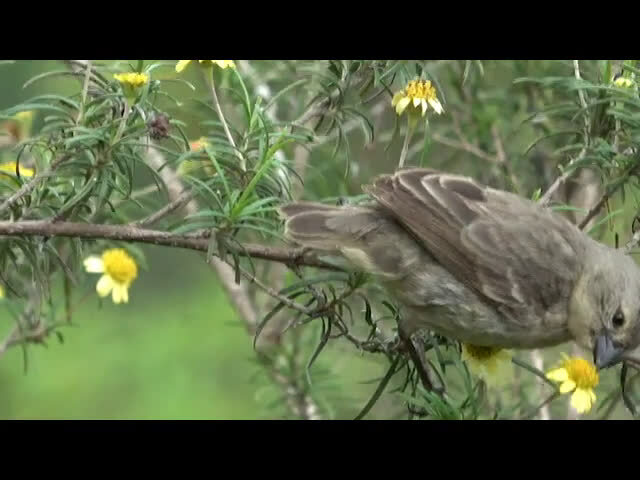 10 related species of the iconic Darwin's finches are being threatened by the invasive fly Philornis downsi from South America, which lays its eggs into birds' nests where the predators then hatch and devour defenceless chicks before the parents can react. Newly hatched maggots take up real estate in a chick's nostril, ear or anywhere they can find blood, and attack at night with more than half of the finches nestlings dying as a result in recent years. But in a paper released today in the scientific journal Royal Society Open Science, lead author and Flinders University Postdoctoral Fellow, Dr. Katharina Peters, says hybrid offspring of two famous species, small and medium tree finches, might be more effective at eliminating the parasite in their nests, or their nests are just not as attractive to the adult flies. "We found finch hybrids have fewer introduced parasites in their nest when compared to their more famous ancestors, with hybrid nests housing only half the number of deadly flies, potentially revealing an effective defence mechanism to combat what is an invasive parasite," says Dr. Peters. "The hybrids are offspring of small and medium tree finches which aren't anywhere near as effective at defending against the parasitic fly so the hybrids could potentially have an evolutionary advantage." 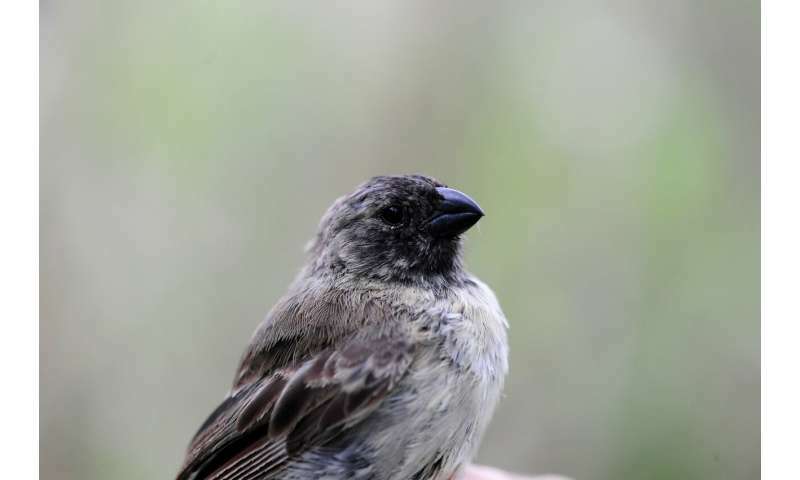 "Flies have infected the nests of every land bird species on the four inhabited Galápagos Islands and that includes the famous Darwin's finches, which are part of a heritage system that shaped human thought about how life evolved on planet Earth," says Professor Kleindorfer. "If nothing is done, it's likely that bird populations will become extinct on different islands in the next decades." 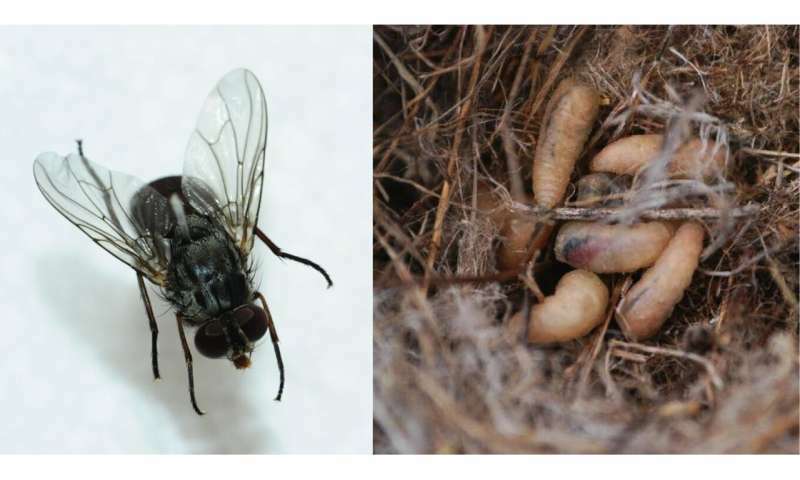 In 2012, experts from around the world established the Philornis Working Group to coordinate their efforts to solve the maggot problem, which includes experts from Flinders University's Bird Lab. Members of the group hail from 15 institutions, and gather in the Galapagos to discuss progress, new findings and a way to save these birds and preserve the islands' ecosystem. Dr. Peters say the next step is to confirm why the hybrid species are so much more effective at eliminating the parasite. "At this stage we don't know what the mechanism is behind the reduced fly numbers in hybrid nests." "We speculate it's one of a few options such as novel immune defences, nesting density or the materials used to build the nest itself, as well as anti-parasite behaviour such as picking the larvae off the nestlings by the parents, but more research is needed to actually shed light on this."